Since last few decades, cosmetic medicine has seen enormous advancements and developments. Now there are numerous options in cosmetic medicine which can help you look the way you have always wanted to. So, right from various surgical procedures for altering a body feature to simple ‘lunch- time’ procedures which are quick fixes for small problems, all options are available in India. Inarguably one of the most popular treatments that are available in India is Botox. Botox has been in use for decades now and today Botox is used for more than just anti- wrinkle treatment. Botox now is used for treatment of various problems like hemifacial spasms, excessive sweating, migraine etc. The treatment with Botox is now widespread all across India. Cities like Mumbai have lakhs of patients annually who undergo treatment with Botox for various medical and aesthetic reasons. Most commonly Botox treatment is used for wrinkle removal. A lot of cosmetic options are available for removing wrinkles but they can only work for a certain time. Our lifestyle and what we eat also determine the quality of our skin. However, after a certain age, we all experience fine lines and wrinkles on our skin which seem to be happy staying put stubbornly on our faces. Botox is a completely non- surgical and a very quick treatment for the treatment of wrinkles. It last for almost 6- 8 months after which a person may have to undergo the treatment again. Botox is shortened term for the Botulinum toxin which is injected into the skin during the treatment. It is a medicinal protein which is injected in to the targeted muscle for the treatment in controlled amounts. Botox treatment works by temporarily paralyzing and relaxing the muscles which are under the skin. It sounds dangerous, but treatment by Botox is very effective and completely safe. As the muscle gets relaxed by the Botox treatment, the wrinkles appear to get smoother and settled in the skin after a few days of the treatment. The amount of Botox that will be injected into the skin will depend upon a lot of factors. The size of the area to be treated, the depth of the wrinkles and the facial structure of the patient are some of the most common factors that are considered before the treatment. Botox stops the nerve signals that travel to and from muscles which are necessary for expansion and contraction of muscles. As the nerve signals are blocked, the muscles do not receive any signal and since they do not move after the Botox treatment the skin above the muscle also gets relaxed. Treatment by Botox can only be performed only on certain areas of the body. It is mostly used on the common wrinkles of the face like the nasolabial folds, the crow’s feet near the eyes and the horizontal forehead lines. Skin wrinkles which result from the damage to the skin due to exposure to sun rays can also benefit from the treatment by Botox. The Botox treatment is a very quick procedure and hardly takes 30 minutes for completion. The patient is fully conscious during the treatment and there is almost no pain. The full effects of Botox treatment show up in around a week and are quite long lasting. Botox is one of those treatments that are not only easily available in India but people also are not shying away from taking it. In almost all big cities like Mumbai, Botox is available at all cosmetic clinics. But before you get the Botox treatment in Mumbai or anywhere in India, you should know all your options and speak to your doctor before the treatment. Dr. Shome who is one of the best facial plastic surgeons in India and who is also the co- founder of the top cosmetic clinics chain known as The Esthetic Clinics in India says that often people are misled by various doctors and given wrong information about Botox in India. At his clinics in Mumbai, thousands of patients come for Botox treatment and many have misconceptions about it. Botox is the best treatment for superficial wrinkles in India and is one of the top choices of even celebrities in India. The cosmetic results of Botox are the best and the top of the skin looks very smooth and soft after the treatment. Many clinics in not only Mumbai but all over India make a patient undergo unnecessary sessions of Botox. You should choose the best dermatologist or a clinic and openly communicate with them. Mumbai has a plethora of options but wouldn’t you want the best for your skin? For that we recommend you to come to The Esthetic Clinics in Mumbai which is headed by the best facial plastic surgeon in India, Dr. Debraj Shome. In Mumbai, the popularity of Botox has multiplied exponentially and the number of patients who come to Mumbai to Dr. Shome has also increased. Although, Botox is available almost everywhere in addition to Mumbai, it is important that you get the best option for yourself. You want to look and feel younger and that can happen only when you have the top doctor and treatment for yourself. Mumbai is the place to go if you want the best for yourself. 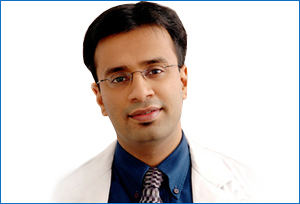 Dr. Shome and his team in Mumbai want to ensure that the people of India only get the top quality skin treatments. For this, Dr. Shome travels all over India and holds various conferences in Mumbai on the same subject. Apart from big cities like Mumbai, he wants to spread awareness about cosmetic treatment in the smaller cities as well. If you want youthful looks and the best Botox treatment, the right choice would be Mumbai. The Esthetic Clinics in Mumbai have an unmatched track record of success and people from all over India travel to Mumbai to get treated by Dr. Debraj Shome.